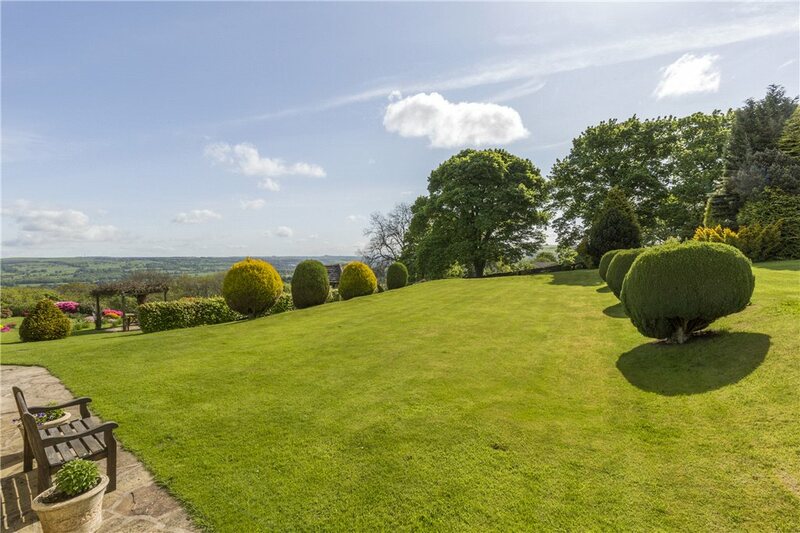 Enjoying stunning views across landscaped gardens and land toward beautiful Wharfedale beyond, this substantial village home provides excellent family accommodation and ancillary buildings from a lovely setting on the edge of Burley Woodhead. 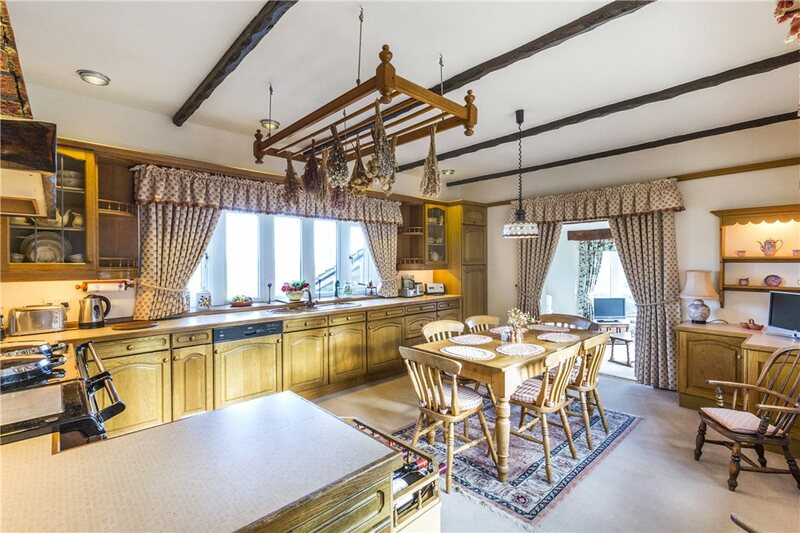 Entrance porch; galleried reception hall; triple aspect living room with open fire; snug ; dining room; garden room; farmhouse kitchen with four oven Aga; utility and shower room. 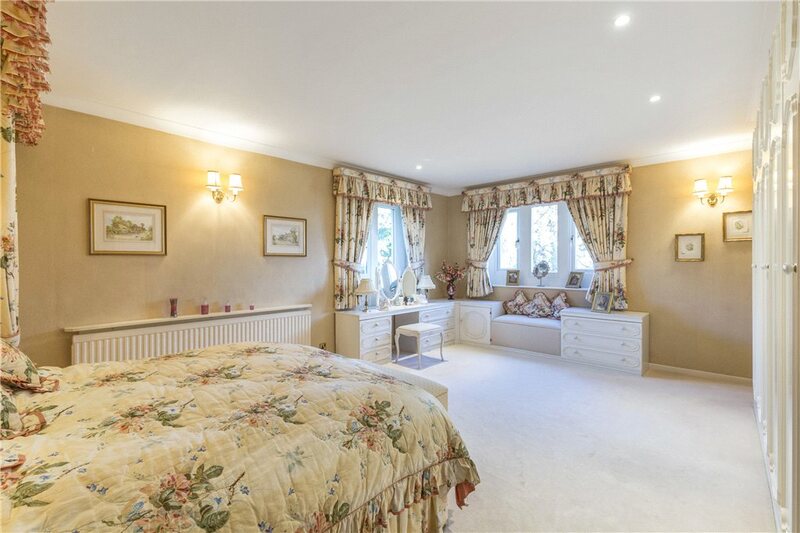 First floor – landing overlooking the reception hall; master bedroom suite with fitted wardrobes and wc off; dual aspect bedroom 2; three further double bedrooms (two with fitted wardrobes); house bathroom with four piece suite. 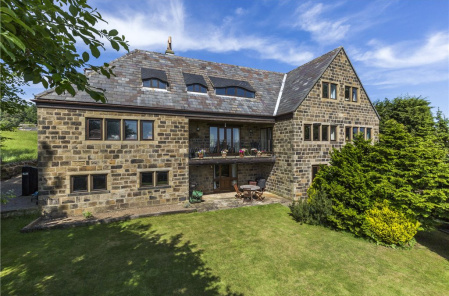 Outside – the property is approached through a remote controlled gate with expansive parking/turning and with a pair of substantial interconnecting double garages overlooking the courtyard area. 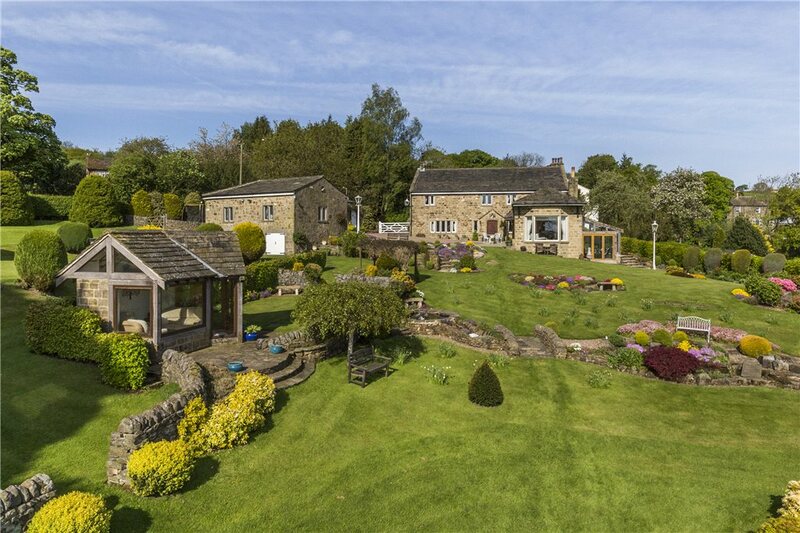 Landscaped gardens with grazing land beyond – the whole extending to c. 2 hectares (4.9 acres). 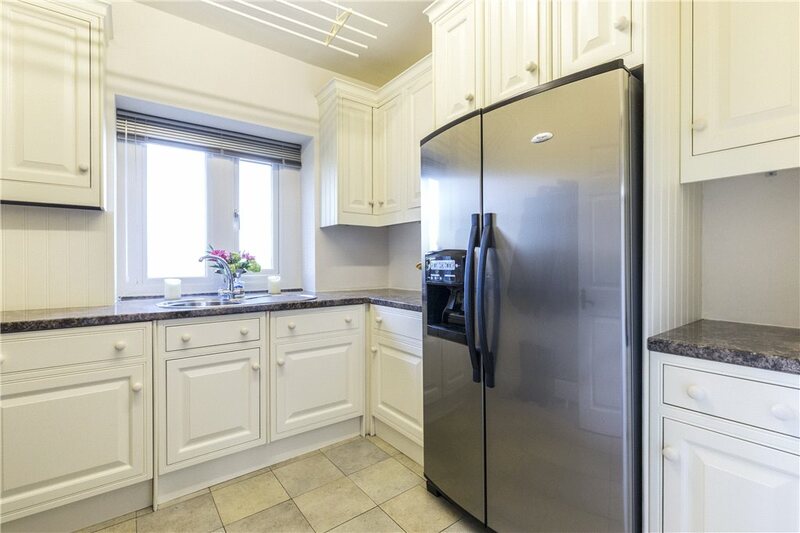 The highly regarded hamlet of Burley Woodhead is one of the most sought after communities in the Wharfe Valley and provides a highly desirable living environment from a location which borders Wharfedale’s famous moors and affords stunning far reaching aspects towards the Vale of York. The ever popular spa town of Ilkley is just a couple of miles or so away, whilst the community enjoys excellent road links with business centres as far apart as Harrogate, the East Lancashire conurbation, Leeds and Bradford – indeed both local cities can be reached by frequent rail connections throughout the day from nearby Burley in Wharfedale station (1 mile), with regular onward connections from Leeds to London. In addition to it's station Burley provides a range of everyday amenities including local shops, churches, a choice of pubs/restaurants as well as a pair of primary schools. 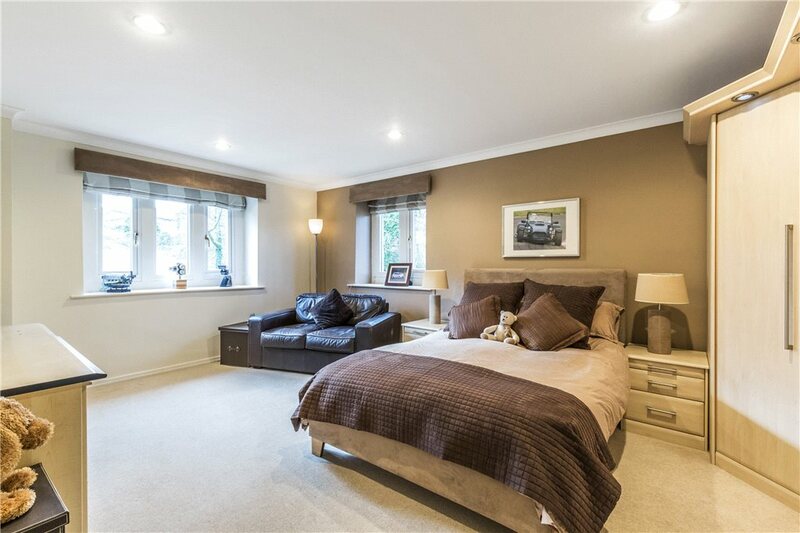 Much more comprehensive facilities are available in fashionable Ilkley, with its central shopping area combining ‘high street’ as well as traditional local stores. The town is very well served by restaurants and social amenities, as well as highly regarded sports clubs and a much regarded schooling system. Private education for children of all ages is available within comfortable daily travelling distance. Dove Cottage stands on the edge of the hamlet on a wonderful site combining delightful landscaped gardens, extensive garaging and grazing land – the latter being a very useful amenity for those with equestrian interests or space consuming hobbies. A substantial home in its own right, complimented by wonderful gardens and a very useful land holding, Dove Cottage forms an ideal family home with wonderful sweeping proportions, an endearing character and breath-taking aspects. 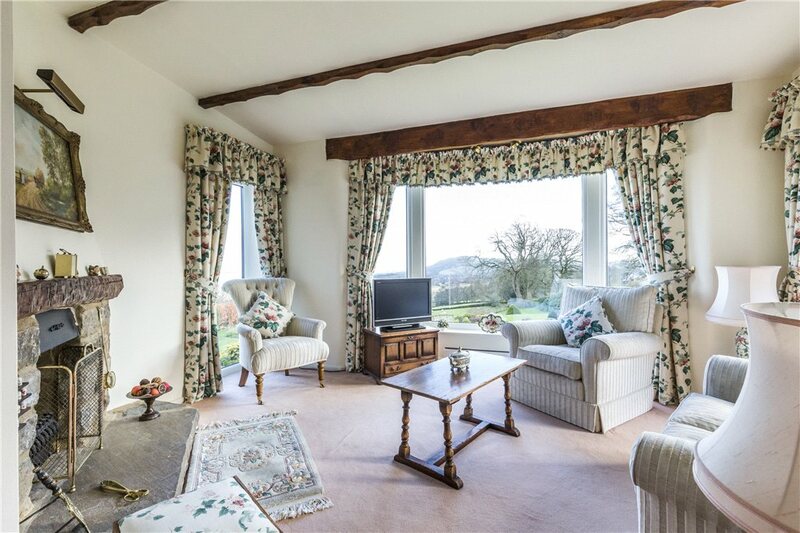 The accommodation is entered through a galleried reception hall from where there is access to two large reception rooms which interconnect via a snug area to create ideal entertaining space. A wing projects towards the garden and includes utility and cloaks as well as a large dining kitchen with Aga and a triple aspect garden room beyond. 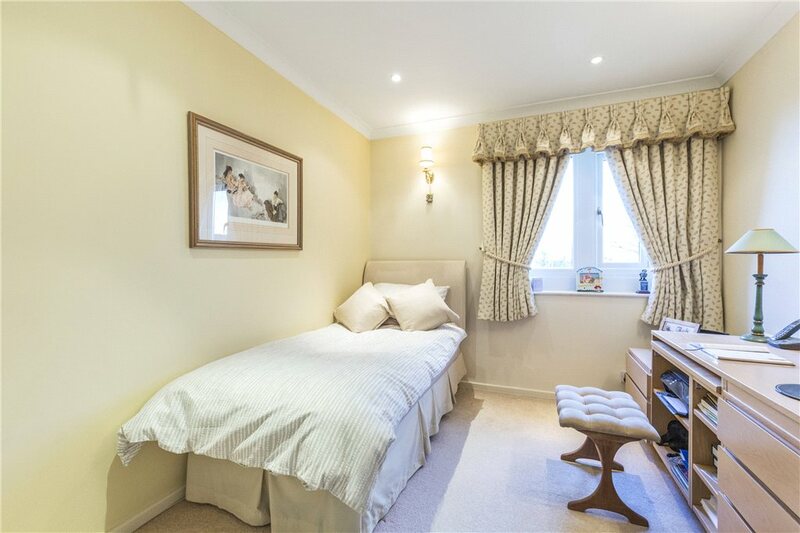 To the first floor there are five double bedrooms in all, the majority of which have fitted wardrobes. Dove Cottage is approached through a remote controlled gate which leads to an expansive parking and turning area. A pair of substantial double garages overlook the forecourt. 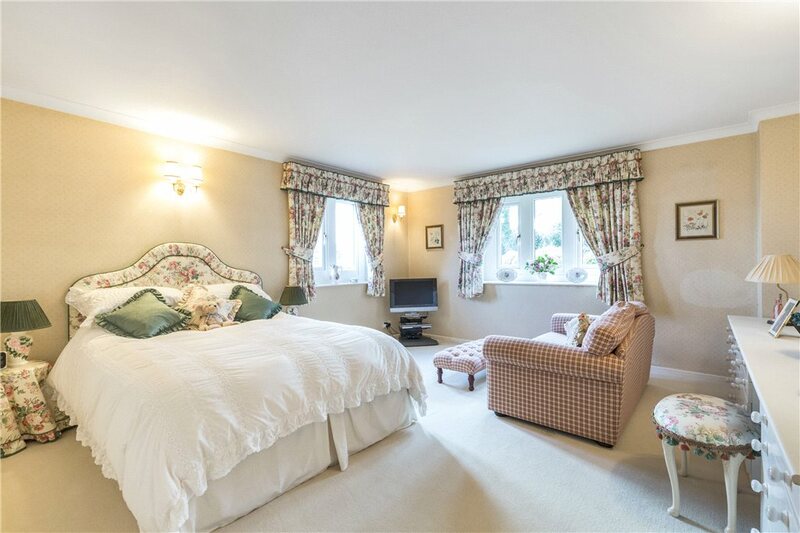 The property has been in the same ownership for at least 40 years, and over that period the owners have carefully tended and landscaped the gardens to create a wonderful amenity to compliment the calibre of the house. Broad sweeping lawns are interspersed with thoughtful shrub planting, whilst a couple of charming summer houses offer a sheltered environment from which to soak up the view or enjoy al fresco dining. A secondary access from Moor Lane leads down the eastern side of the property giving an independent route to the grassland. 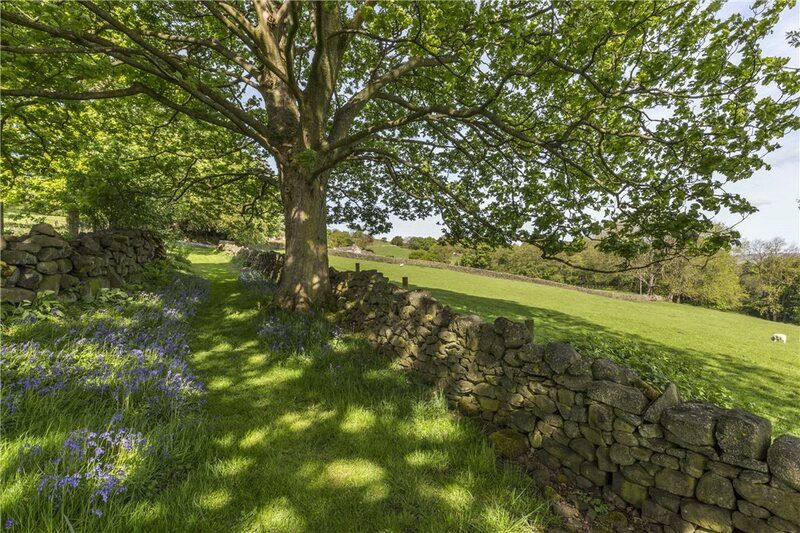 The sale of Dove Cottage offers an exceptional opportunity to acquire a well balanced home – one that combines generously proportioned accommodation with lovely gardens, stunning views and of course the added advantage of the grazing too. From Ilkley proceed over the moor past the Cow & Calf Rocks into the village of Burley Woodhead, continue through the village centre passing the Hermit pub on the left hand side. 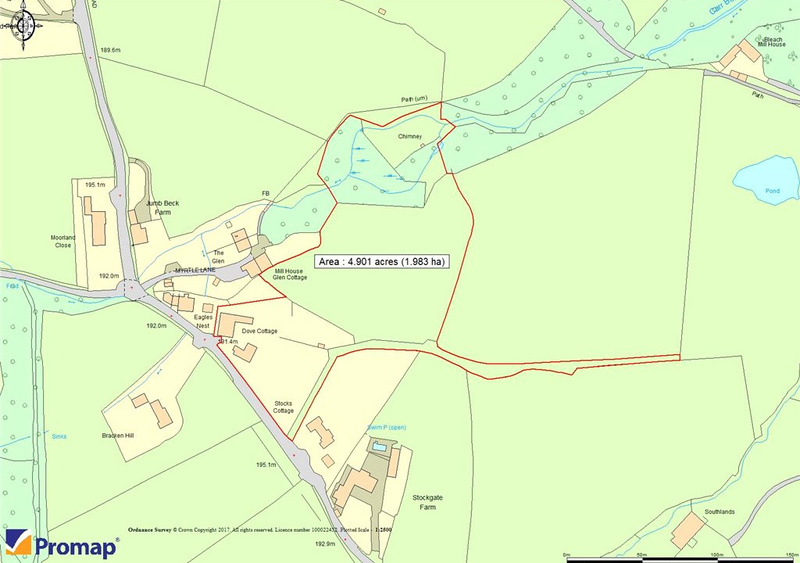 After around 300 yards there is a sharp left hand bend, follow the road around the corner and then the entrance to Dove Cottage will be seen to the left hand side with the property’s name plate at low level on the right hand gate post. ACCOMMODATION SUMMARY Entrance porch; galleried reception hall; triple aspect living room with open fire; snug ; dining room; garden room; farmhouse kitchen with four oven Aga; utility and shower room. 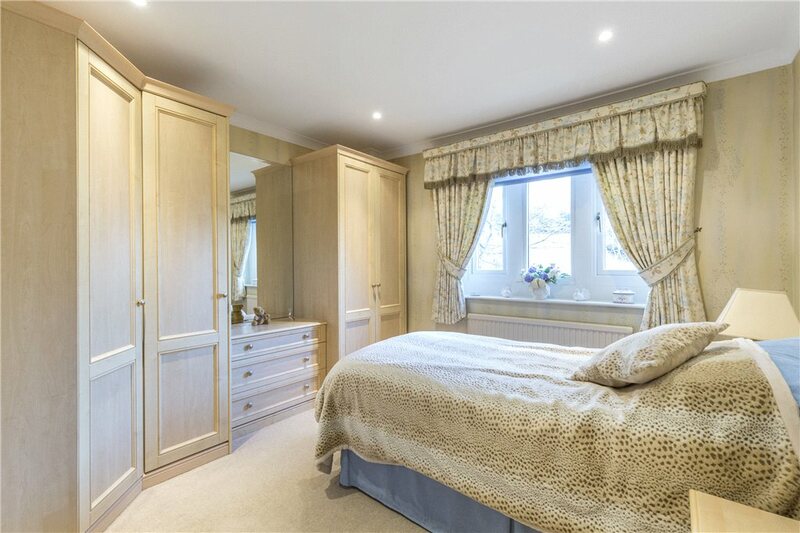 First floor – landing overlooking the reception hall; master bedroom suite with fitted wardrobes and wc off; dual aspect bedroom 2; three further double bedrooms (two with fitted wardrobes); house bathroom with four piece suite. Outside – the property is approached through a remote controlled gate with expansive parking/turning and with a pair of substantial interconnecting double garages overlooking the courtyard area. 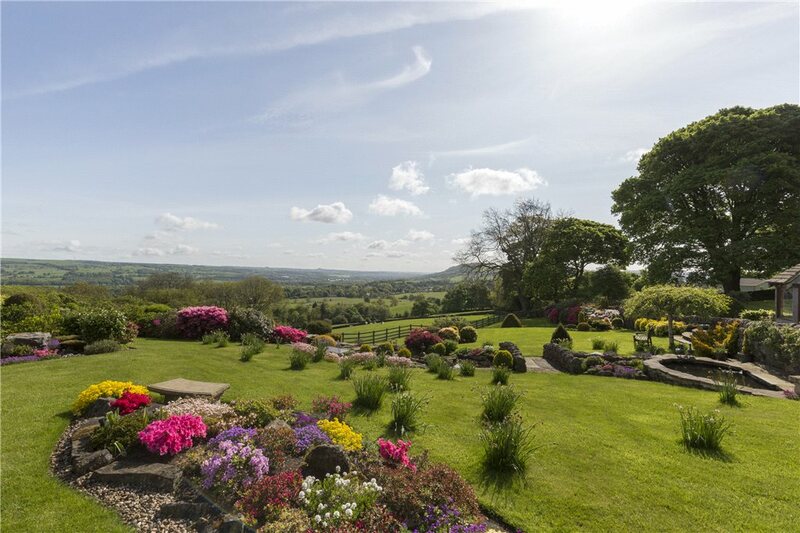 Landscaped gardens with grazing land beyond – the whole extending to c. 2 hectares (4.9 acres). GENERAL REMARKS The highly regarded hamlet of Burley Woodhead is one of the most sought after communities in the Wharfe Valley and provides a highly desirable living environment from a location which borders Wharfedale’s famous moors and affords stunning far reaching aspects towards the Vale of York. The ever popular spa town of Ilkley is just a couple of miles or so away, whilst the community enjoys excellent road links with business centres as far apart as Harrogate, the East Lancashire conurbation, Leeds and Bradford – indeed both local cities can be reached by frequent rail connections throughout the day from nearby Burley in Wharfedale station (1 mile), with regular onward connections from Leeds to London. In addition to it's station Burley provides a range of everyday amenities including local shops, churches, a choice of pubs/restaurants as well as a pair of primary schools. 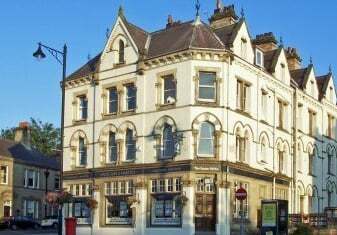 Much more comprehensive facilities are available in fashionable Ilkley, with its central shopping area combining ‘high street’ as well as traditional local stores. The town is very well served by restaurants and social amenities, as well as highly regarded sports clubs and a much regarded schooling system. Private education for children of all ages is available within comfortable daily travelling distance. Dove Cottage stands on the edge of the hamlet on a wonderful site combining delightful landscaped gardens, extensive garaging and grazing land – the latter being a very useful amenity for those with equestrian interests or space consuming hobbies. A substantial home in its own right, complimented by wonderful gardens and a very useful land holding, Dove Cottage forms an ideal family home with wonderful sweeping proportions, an endearing character and breath-taking aspects. 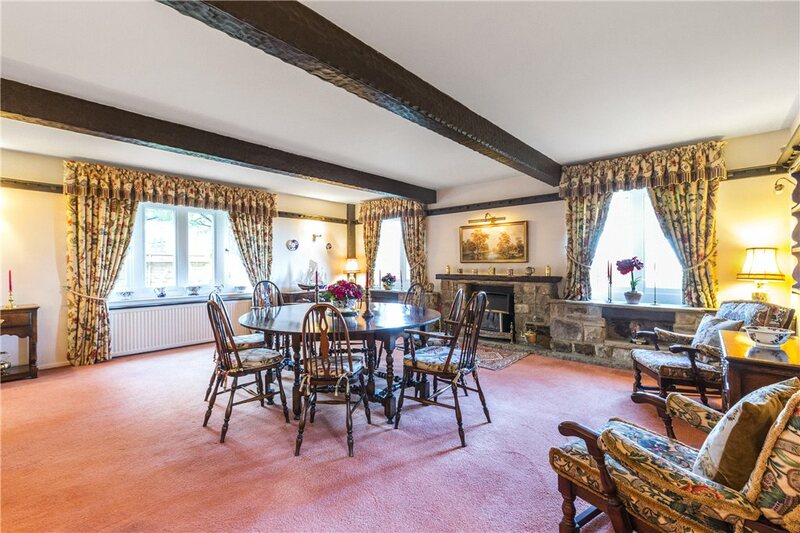 The accommodation is entered through a galleried reception hall from where there is access to two large reception rooms which interconnect via a snug area to create ideal entertaining space. 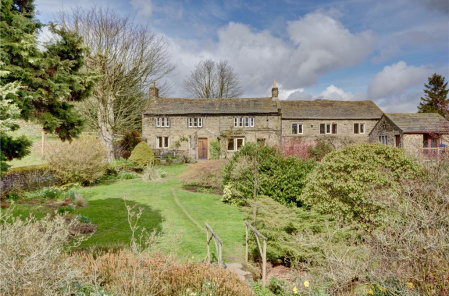 A wing projects towards the garden and includes utility and cloaks as well as a large dining kitchen with Aga and a triple aspect garden room beyond. 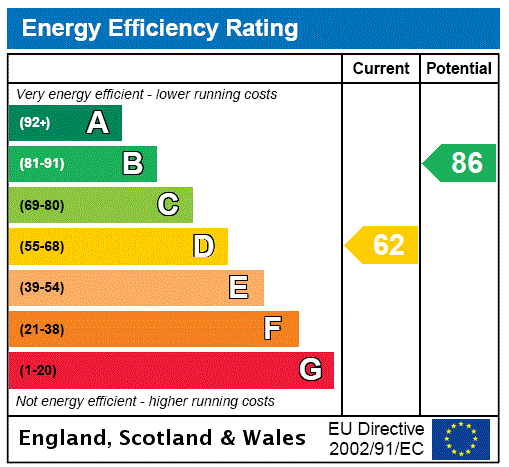 To the first floor there are five double bedrooms in all, the majority of which have fitted wardrobes. 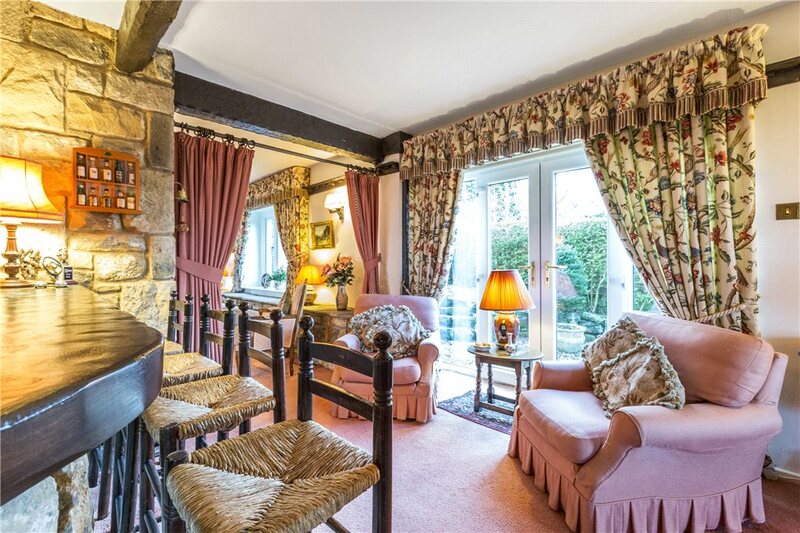 Dove Cottage is approached through a remote controlled gate which leads to an expansive parking and turning area. A pair of substantial double garages overlook the forecourt. 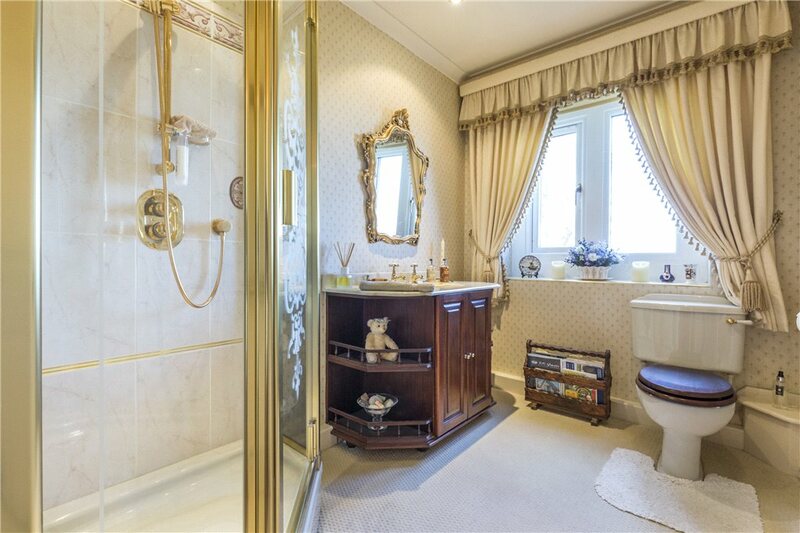 The property has been in the same ownership for at least 40 years, and over that period the owners have carefully tended and landscaped the gardens to create a wonderful amenity to compliment the calibre of the house. 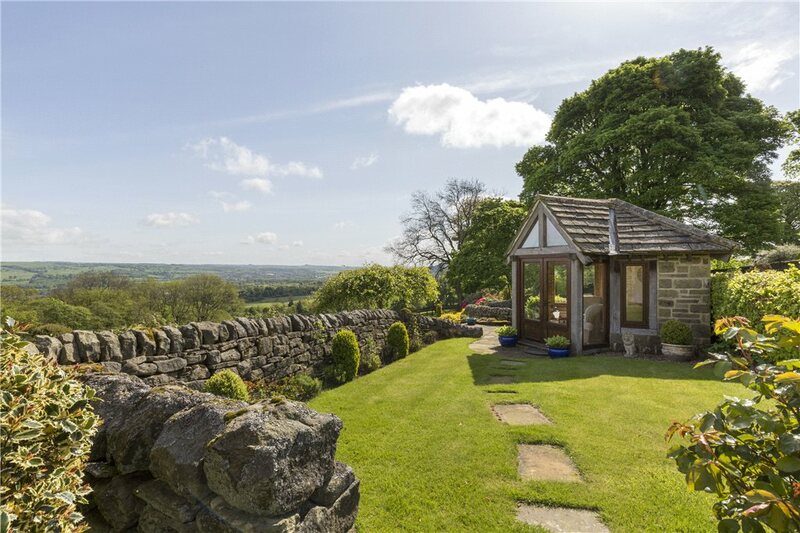 Broad sweeping lawns are interspersed with thoughtful shrub planting, whilst a couple of charming summer houses offer a sheltered environment from which to soak up the view or enjoy al fresco dining. A secondary access from Moor Lane leads down the eastern side of the property giving an independent route to the grassland. 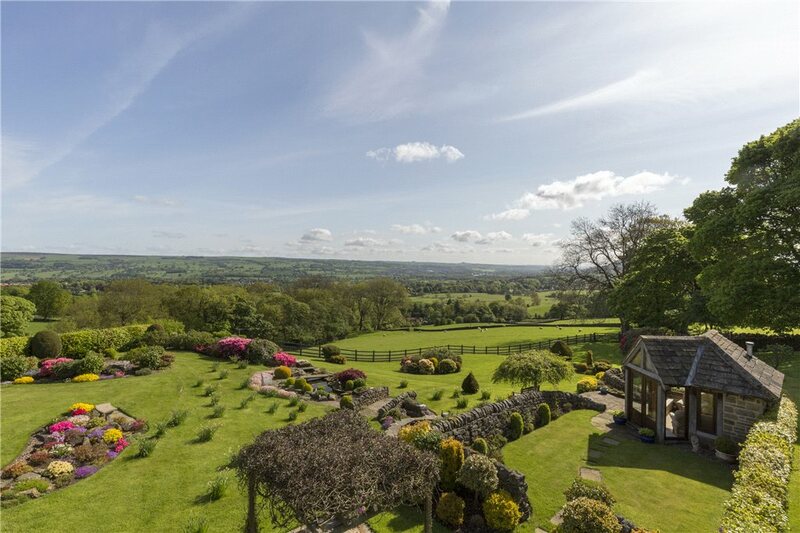 The sale of Dove Cottage offers an exceptional opportunity to acquire a well balanced home – one that combines generously proportioned accommodation with lovely gardens, stunning views and of course the added advantage of the grazing too.